If you are looking for a way to upgrade the aesthetic appeal of the exterior living space at your Reisterstown, Maryland, home, consider having patio pavers installed by Allmaster Home Services. As a family-owned and -operated home improvement company that has served the region since 1987, we have helped countless homeowners like yourself transform the landscape at their residences with our industry-leading products and dedication to every customer’s complete satisfaction. In fact, for these reasons and more, we have maintained an A+ rating with the Better Business Bureau and have been named one of Baltimore’s Top-Rated Contractors by HomeAdvisor. Plus, every patio paver project we complete is customized to the exact preferences of each client we work with. When you first contact us for your outdoor living project, we will schedule a complimentary in-home consultation where our design specialists will get a better understanding of your goals and formulate a plan that caters to your aesthetic and functional preferences. 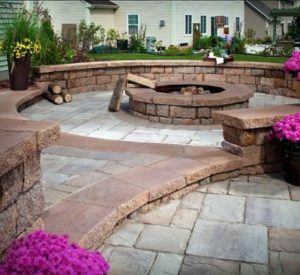 Once approved, our patio paver installation experts will get to work creating the beautiful outdoor living space of your dreams. To learn more about the patio paver projects we complete for homeowners in Reisterstown, MD, and surrounding communities, contact Allmaster Home Services today.